White flowers, VI–X; grey-green foliage, shoots tipped silver-grey; compact, upright; height 16–20cm; spread 26–30cm. A nineteenth-century cultivar that is still a firm favourite. In cultivation before 1867; listed by Maxwell & Beale (Broadstone, Dorset, England) in 1930s. 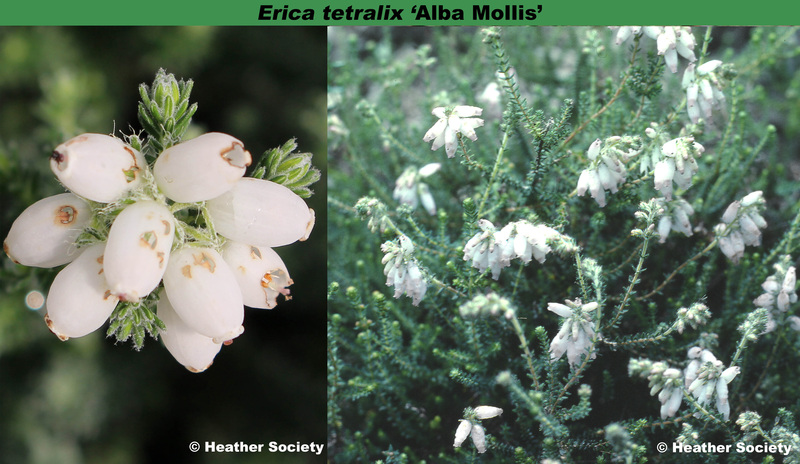 Named from albus = white; a reference to flower colour; mollis = soft.